Today's project if for the challenge over at DT Cookie crafter, Be sure to stop by and see what the talented DT has for your inspiration and join in the challenge for a chance to win some cute digi's. Our sponsor is A day for Daisies. The background paper is from my stash. 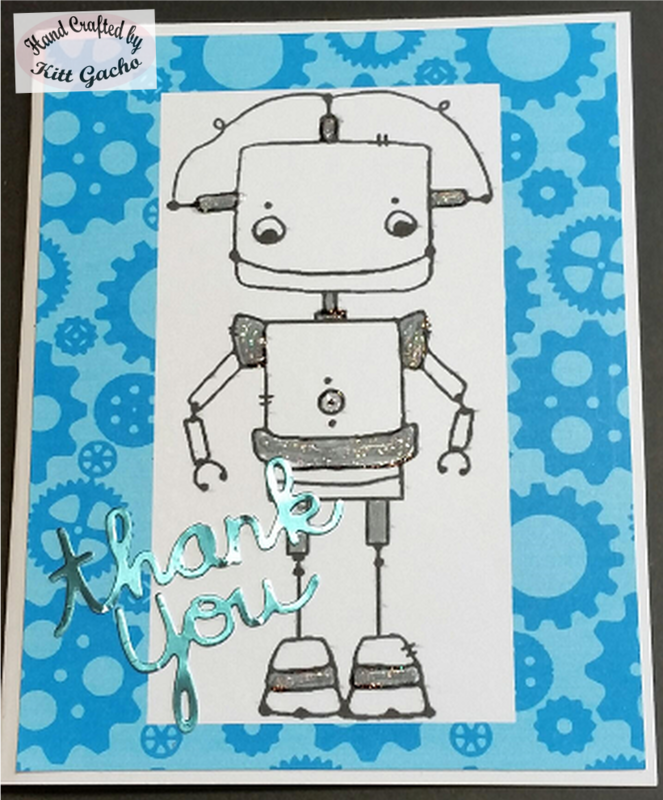 I used a gray Camelion marker and used Diamon Stickles to add some bling to the gray colored areas. 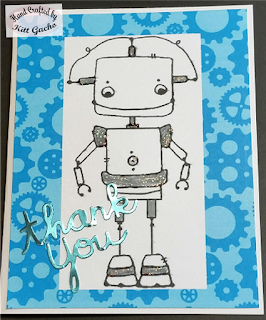 And I used Paper Smooches thank you die with DCWV foil paper pack. Thanks for stopping by and leaving your comments. I look forward to hearing from you. Be sure to follow along as I will have new projects posted soon. Have a happy crafty day.